RIDE, the third standalone book in the Stone Kings MC series, will be released next TUESDAY, September 20. So today, I’m giving you a sneak peak at the cover and book description. RIDE is the story of Trig, the Stone Kings VP, and his lady love Eva. I don’t care. Life has given me another shot and I’m not wasting it. While Eva works to get me back on my feet, I’ll be doing everything possible to get her offof hers … and into my bed. 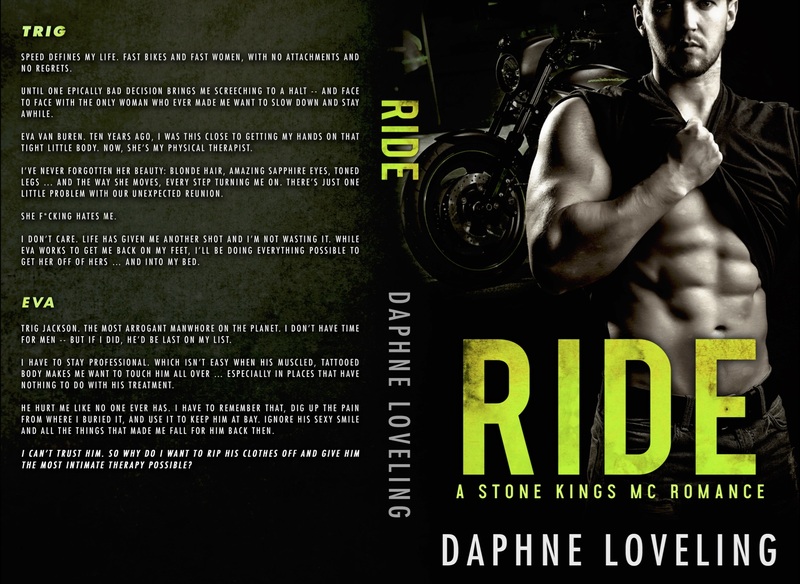 RIDE: A Stone Kings Motorcycle Club Romance will be coming out on Tuesday, Sept. 20. 99 cents for a limited time, FREE with Kindle Unlimited.